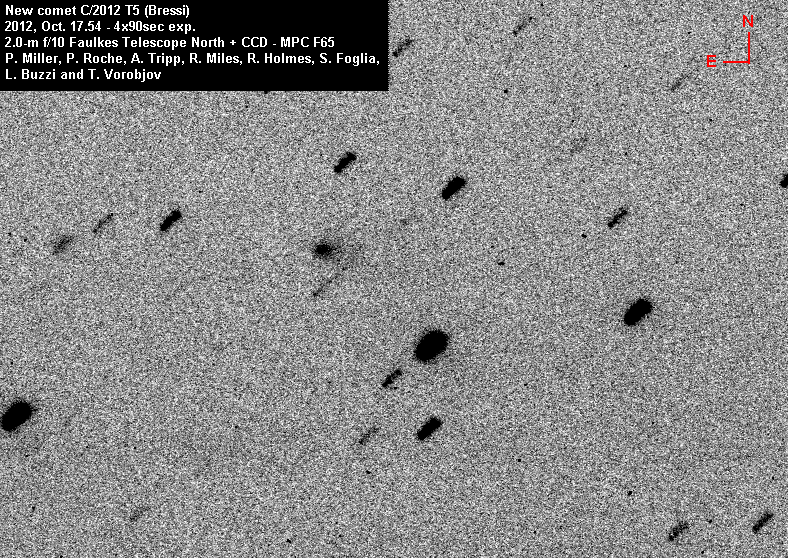 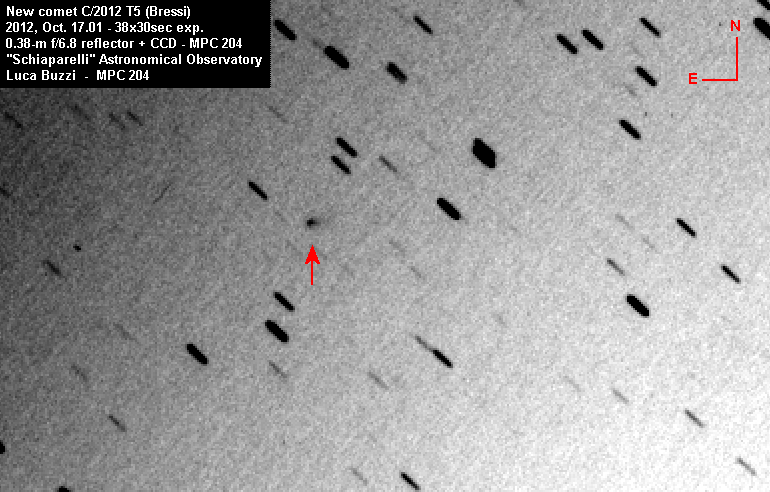 C/2012 T5 (Bressi) was discovered by Terry Bressi, Spacewatch survey, on images taken with the 0.9-m f/3 reflector telescope from Kitt Peak, on Oct. 14.4. 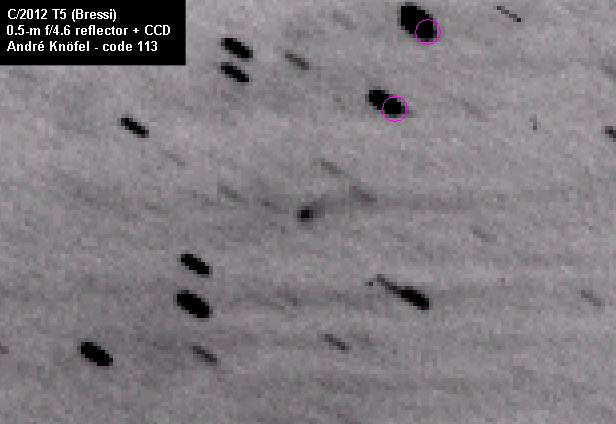 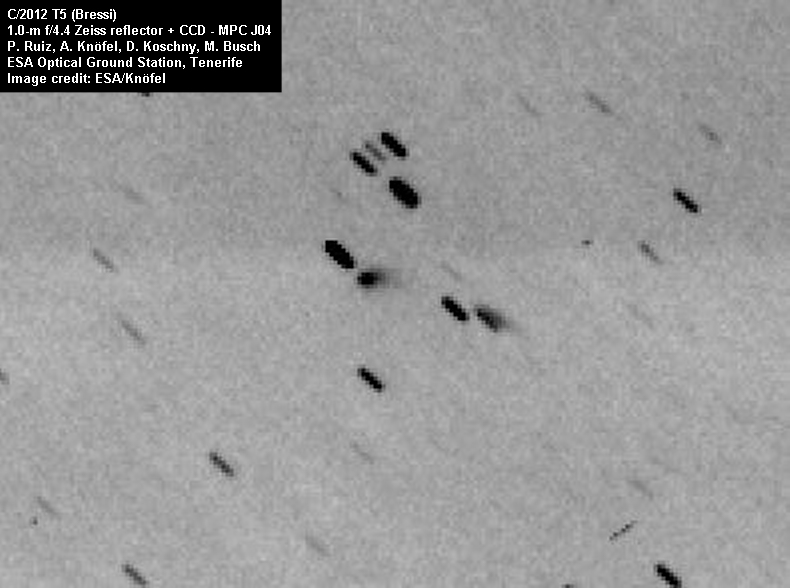 She noted the object to be diffuse with an apparent faint tail about 9″ long in PA 260°, and she obtained confirmation images with the 1.8-m f/2.7 reflector (diffuse with a broad tail extending about 10″ in PA about 270 deg). 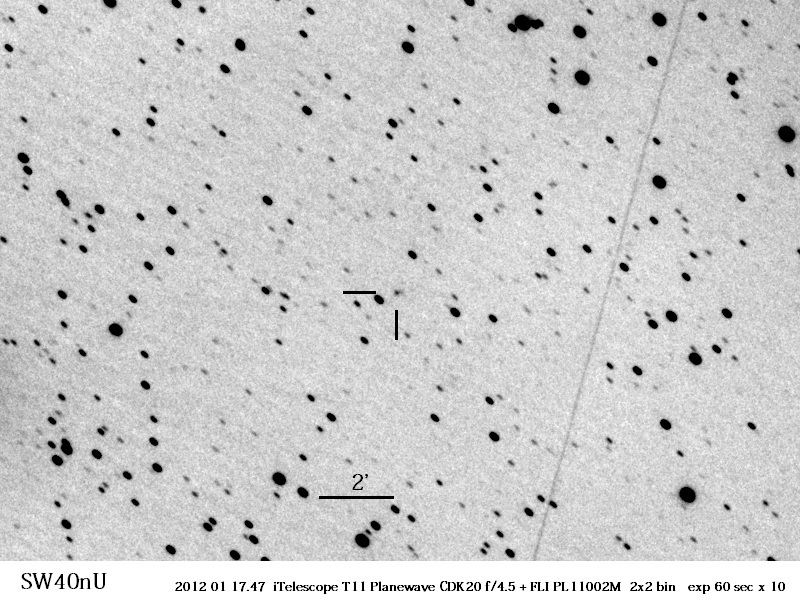 It was posted on the NEO Confirmation Page under the temporary designation SW40uN, and several other observers noted its cometary appearance, including me at 204-Schiaparelli on Oct. 17.0. 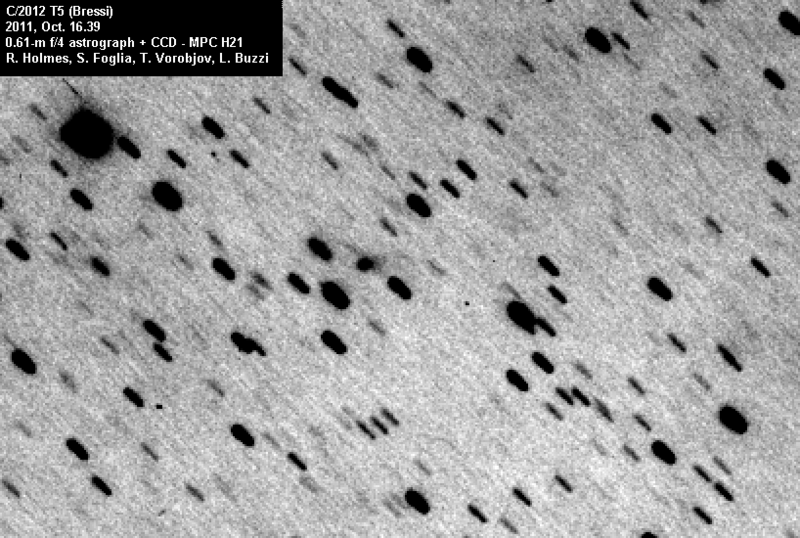 Results were published in CBET 3261 (subscription required) and astrometry, together with parabolic orbital elements, in MPEC 2012-U38.